The Barbarians Must Be Annihilated! This past week was particularly gruesome! The barbarian army, ISIS, has been on a murderous rampage throughout the Middle East and France. The story of the beheading in Saint-Quentin-Fallavier, France, is still unclear. But whatever this killing lacks in clarity, the bombing of a Shiite Mosque in Kuwait City is a stark reminder that ISIS can reach out and kill both with focus and impunity. 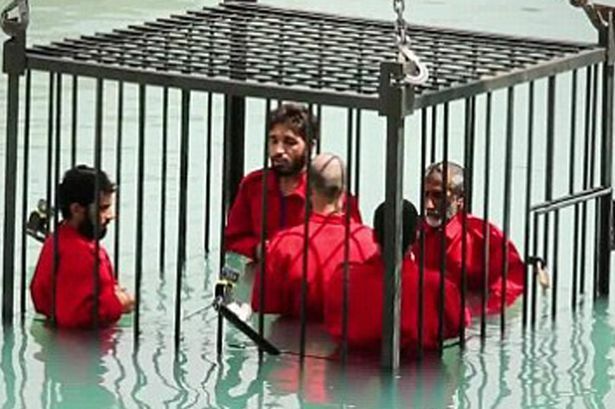 Within its conquered territory ISIS executed prisoners locked in a vehicle by firing an RPG; blew up others by tying explosives around their necks; beheaded a dozen al-Qaeda and Jaish al-Islam fighters; hanged a couple of boys for sneaking a bite during the Ramadan fast; and drowned a cage full of prisoners in a swimming pool. Barack Obama, of course is oblivious to this barbarism, pretending his air campaign of blowing up vehicles, buildings, and ammo dumps is thwarting ISIS’ conquest of the Middle East, and establishment of al-Baghdadi’s caliphate. Senator Lindsay Graham has said publicly he’s in favor of eradicating ISIS, but he doesn’t say exactly how he’d accomplish this objective. The other candidates have said little. None of the congressional candidates — including Senator Graham — have done a damn thing to pressure Barack and the Joint Chiefs to act decisively. I am the only candidate who has promised to eliminate ISIS — all of them. In my judgment there is no utility in killing trucks and buildings without killing the people who drive and occupy them. As I have consistently said, I will use all weapons in the U.S. arsenal to kill our adversaries — including, if necessary, the use of AGM-129 Tactical Nuclear Cruise Missiles.